I found this really cute stationary company through someone else’s blog. 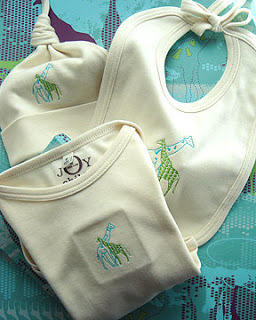 I thought the embroidery baby gift set were just so darling. These ARE cute! You have such fabulous taste!